Your haunted scene won't be complete without this hanging Creepy Doll! 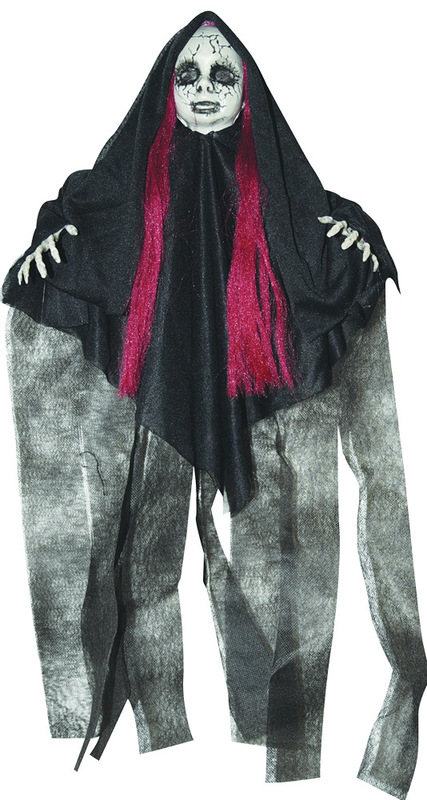 The cracked doll face has black shrunken eyes, long red hair, and black gauzy robes that move with every breeze! Measures approximately 15.7in x 2.4in x 23.6in. Made of iron wire(5%), non-woven fabric(40%), polyester(30%), plastic(PE)(20%), polyethylene foam(5%).